Jet d’Eau in Lake Geneva is one of the city’s landmarks. It shoots water 460 ft into the sky. 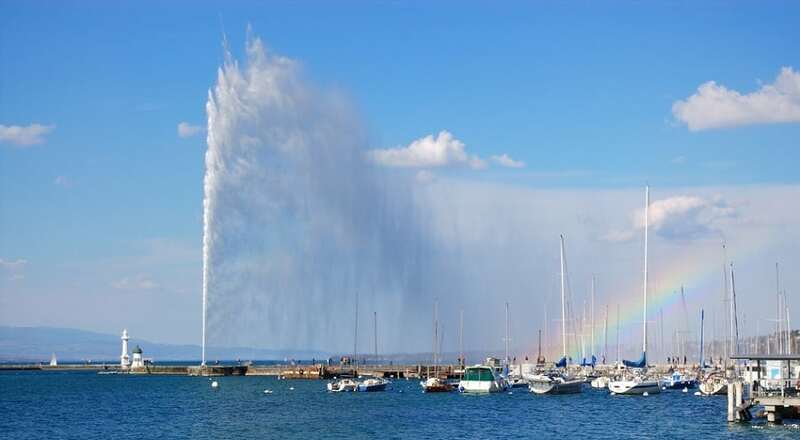 Unbelievably it all came about by mistake over 100 years ago when a hydraulic power station was built to deliver water from the Rhone River to the city but pressure buildups forced engineers to install a relief valve in the center of Lake Geneva and thus a fountain was born of necessity. The fountain became official in 1891 when it was moved to its present location.